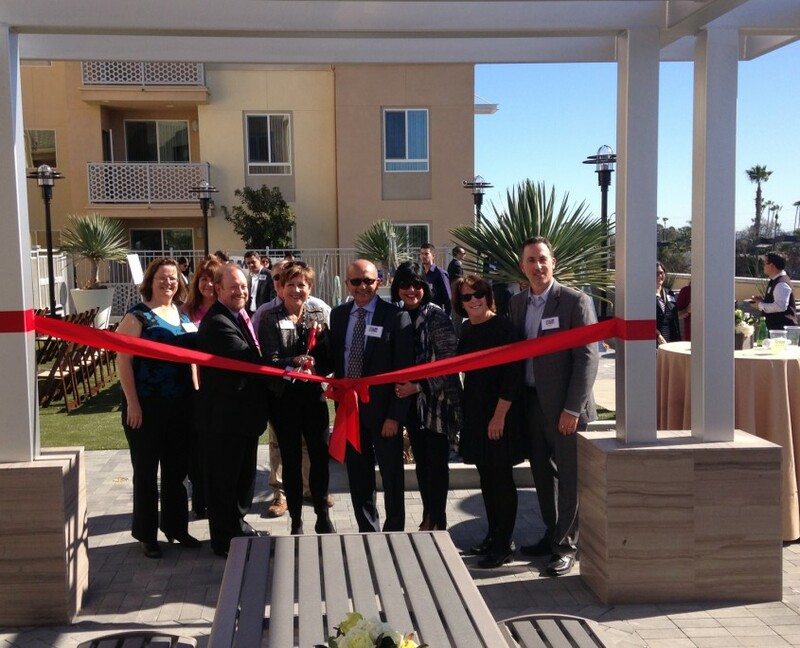 Mark and Bradyn attended the Grand Opening ceremony for Oceana Affordable Family Apartments on Beach Blvd. in Huntington Beach. Developed and built by AMCAL these apartments provide families with a secure environment, clubroom, tutoring room and a Family Courtyard with play equipment and barbecues. Also included on the podium as part of the Beach & Edinger Specific Plan a Public Courtyard with shade trellis, barbecue and synthetic turf is provided during daylight hours. 78 families are enjoying their new community while over 1500 families are on the waiting list, an indicator of the tight affordable housing market in Orange County.